Good morning! Have you recovered from the holidays yet? I haven’t either. I haven’t even started to take down the decorations, but truth be told, I’m in no rush. I love Christmas decorations and would leave my house like this all year if other people wouldn’t raise their eyebrows at me. 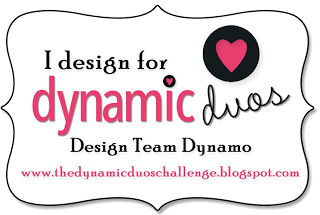 I’m popping in to show you my latest card for the Dynamic Duos design team. 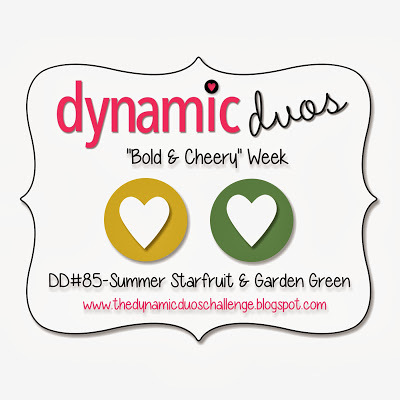 This week’s colors are Garden Green and Summer Starfruit. I struggled with this color combination until I finally decided to make a masculine card (my stash desperately needs more masculine cards). Once I had that, the challenge became much easier. Still not easy, though, so I checked out Mojo Monday for some inspiration and decided to make a square card using the Mojo sketch. I made a 5″x5″ square card. The designer paper mat is from the Birthday Basics designer paper. I’ve used this paper so much that I only had exactly enough left for this card. The Garden Green paper strip is from the Regals Backgrounds paper stack. I chose to use both Whisper White and Basic Black for my neutrals. 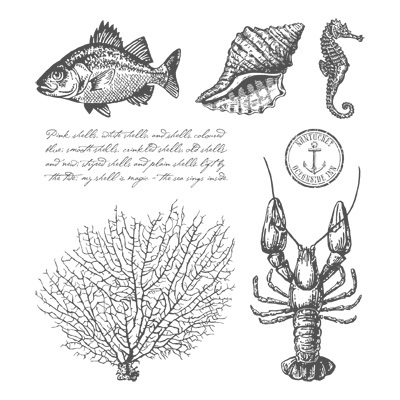 I hadn’t inked up my By the Tide stamps in a long time, and I think of this set first when I think of masculine cards, so I decided to use it. I’d forgotten how much I love it. Both of the green fish are stamped in Garden Green. 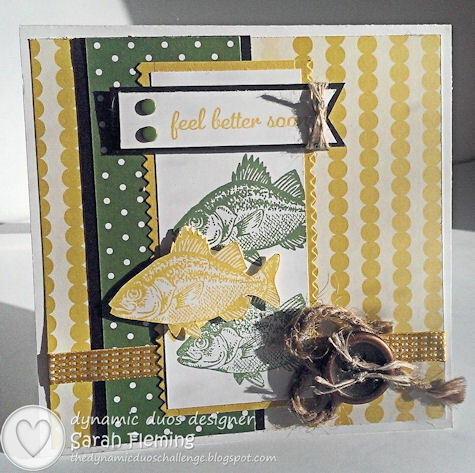 For the fish on the bottom, I first stamped off onto scrap paper before stamping on the cardstock, just so I’d have two different shades of green fish on my card. The sentiment tag and its black frame were flagged using the Hexagon punch. Ever since I lost my 1″ Square punch, this has been my go-to punch for flagging things. I can’t remember whom I got this from. 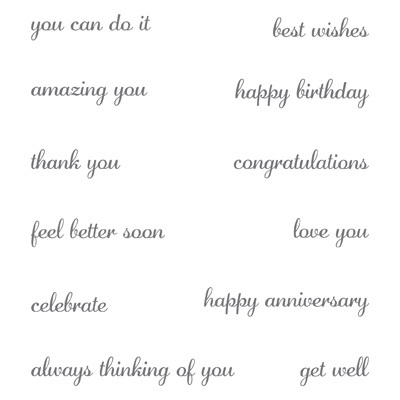 I hope you like the card and will play along with the challenge! The other designers have come up with some great cards, so head on over to the blog and see them all!